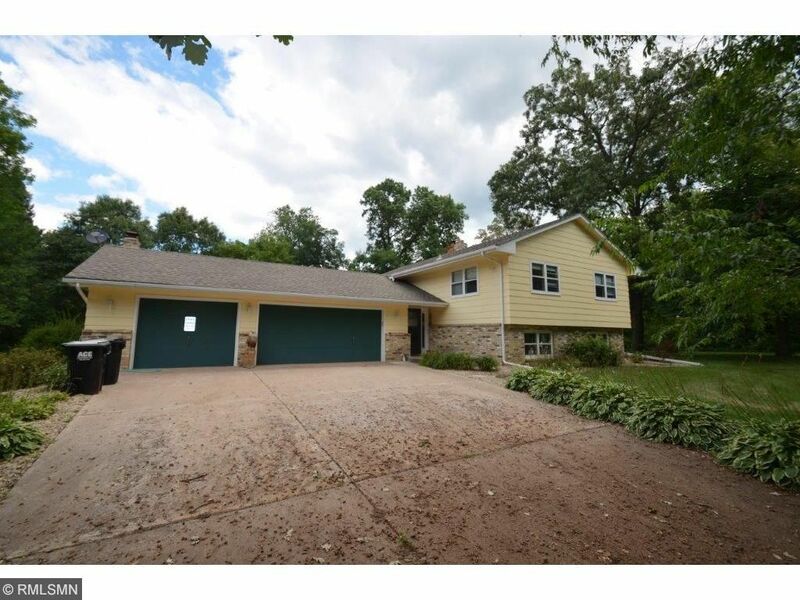 3815 204th Lane NW Oak Grove, MN. | MLS# 4865662 | Chisago City MN Real Estate for sale and surrounding Chisago Lakes homes for Sale. Chris Dubose from the Move It Real Estate Group can help you buy or sell real estate in the CHisaog Lakes area, Chisago County, Washington County and NW Wisconsin. If you want privacy, this is your house! Super private 2.29 ac heavily wooded lot. No neighbors visible from most of yard. Huge 30x50 shop with 14 ft door and fully finished, insulated, and heated. Additional 16x12 shed with concrete floor. Concrete driveway. House is 3 BR with huge basement family room with wood burning stove that can heat the whole house.